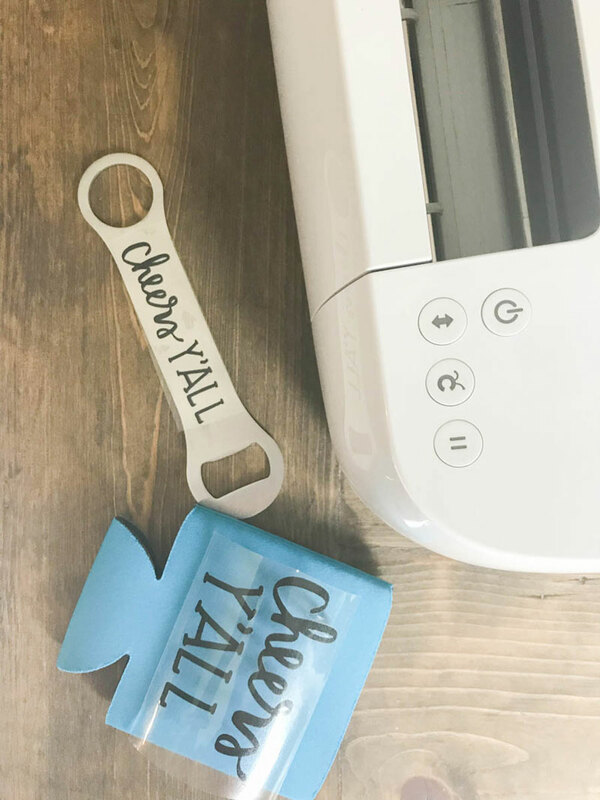 Wedding season is quickly approaching, and if you are anything like I was, you want to DIY all.the.things for your wedding. Maybe you want to save money, maybe you can’t find anything that fits your wedding vision…either way, you need to get DIY’ing right away! I like to give meaningful and useful party favors…but they also need to fit the theme. 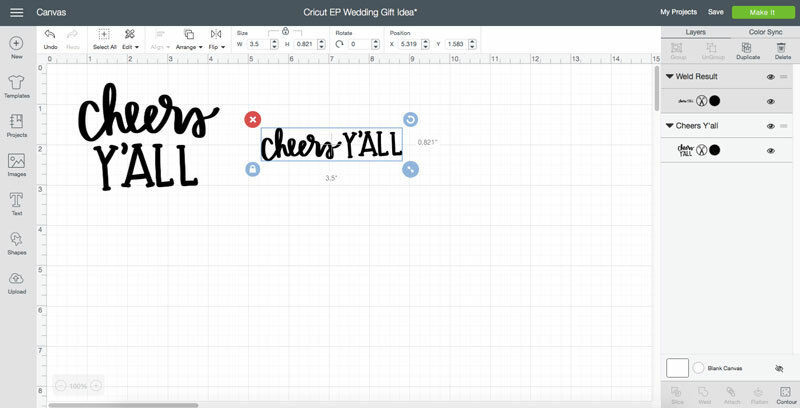 Hand-lettered script is super popular right now, so I asked my friend Pineapple Paper Co to write Cheers Y’all, and I uploaded it to Cricut Design Space. Just right-click on the words below and save so you can upload too. 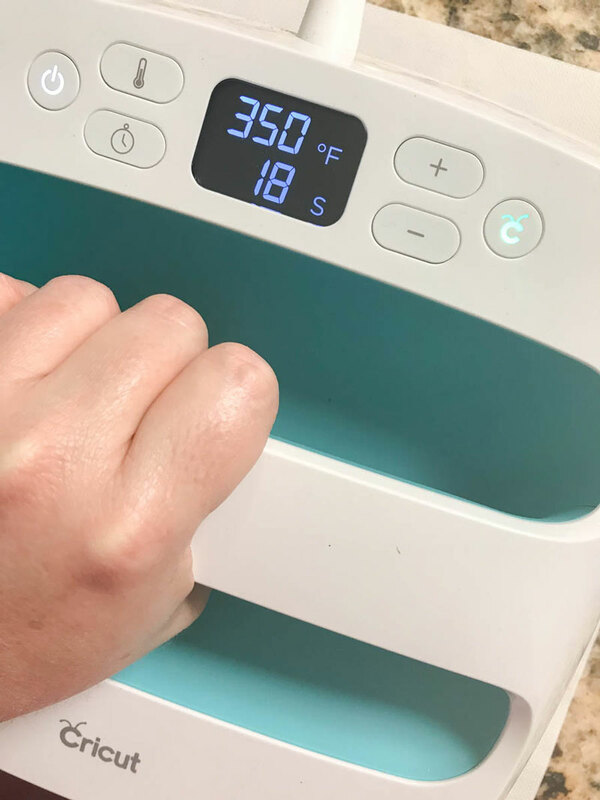 Once the script has been uploaded to Design Space or you have created your own cut file, size it to fit your object, and send it to the machine to be cut. Since one of the favors is a bottle opener, I needed the text to be longer than wide. 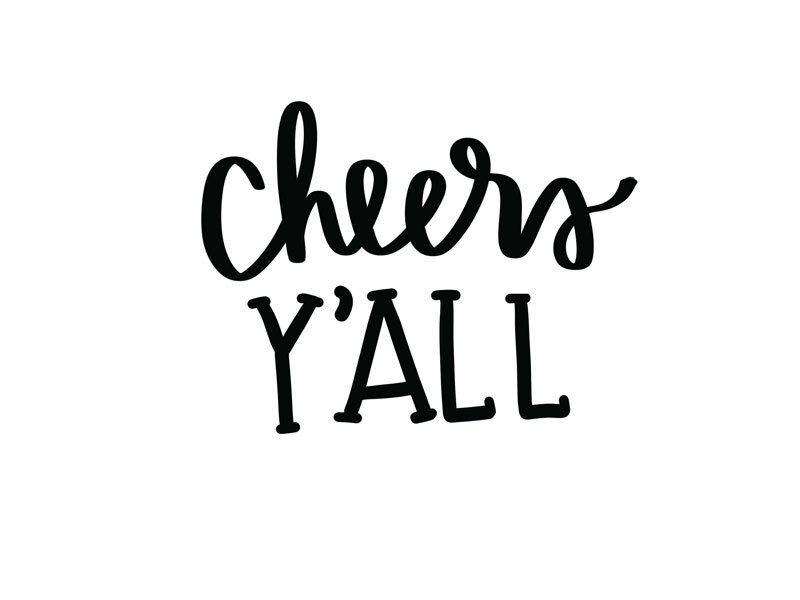 In order to make the text longer, I sliced the text image and moved the Y’all next to the Cheers instead of under it. I used Cricut Iron-on Lite for both favors, so I had to mirror the cut. 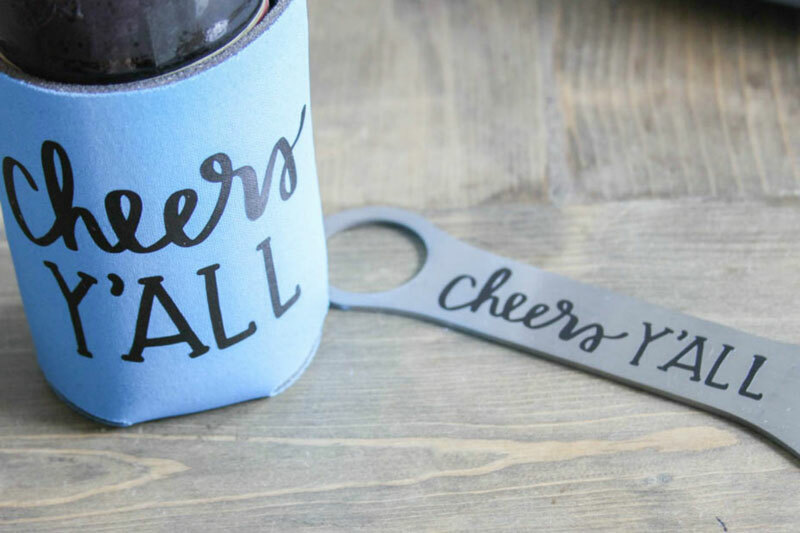 After the text was cut, I weeded it and placed one onto the can koozie and the other on the bottle opener. Now I was ready to use my EasyPress to apply the iron-on. I went with Iron-on Lite for the bottle opener because I bought an inexpensive stainless steel one, and outdoor and traditional sticky vinyl tends to fall off of stainless steel. This was the first time I tried using iron-on on metal and I am hooked! I used a Cricut Protective Sheet when I pressed the can koozie. 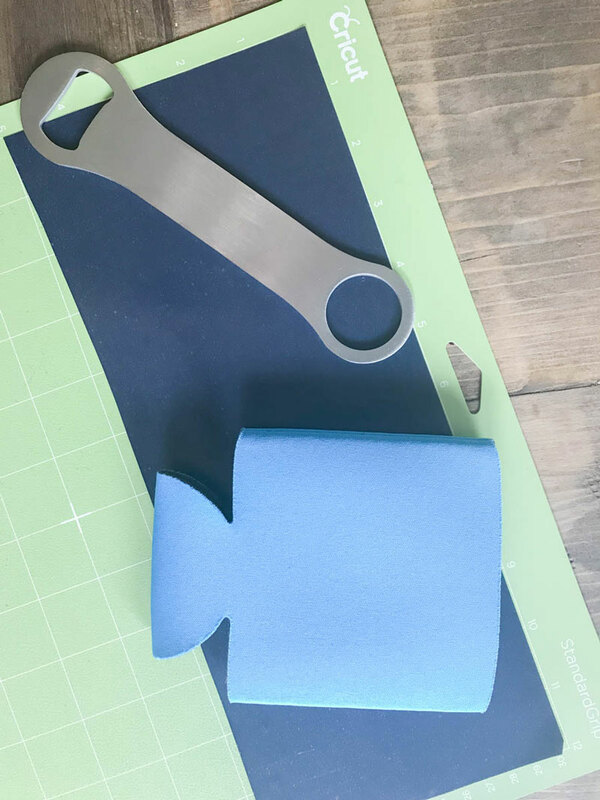 They can melt fairly easily, so I wanted to make sure there was an extra layer between the koozie and the EasyPress. I pressed it for 30 seconds at 330*. These are such fun favors for any party and only take a few minutes to make! If you wanted a different saying, what would you put? Comment below. Weld, Attach, Group, and Flatten: What Is the Difference? When Do You Use Attach and When Do You Use Group? 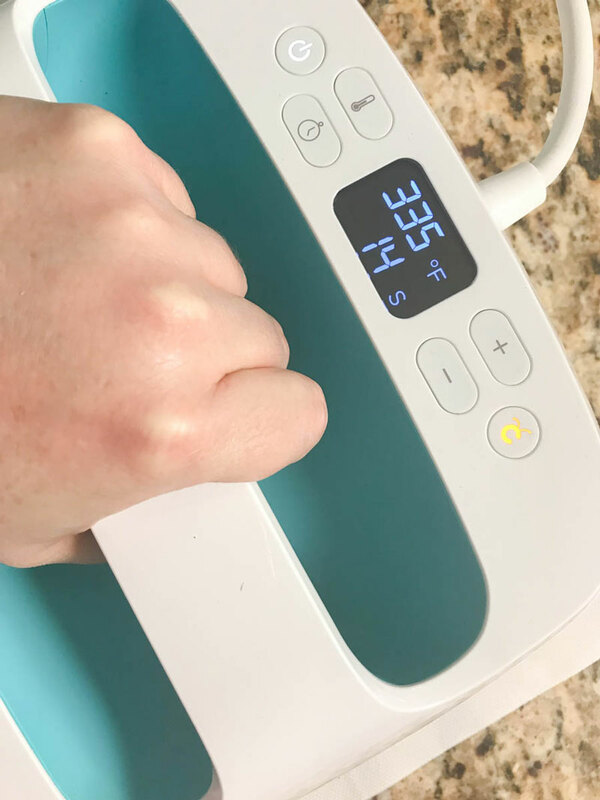 Hello:) I just got the Cricut Maker (yay) and I have been working with vinyl iron on light, but it keeps cutting through the plastic side. I pressed Iron On during the MAKE IT option, and it didn’t cut at all. I selected Glitter Iron On, which admittingly it isn’t glitter, but that cut right through the plastic side 🙁 Help! Not sure how to use vinyl iron on light. Any suggestions? Hi. The iron-on setting should work if it’s our Iron-on Lite. Are you placing the shiny side on the mat? You would also want to mirror your design. Think I could use an iron for both of these projects?